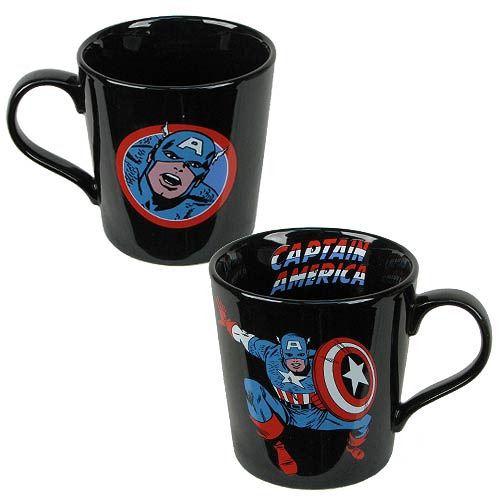 Shopping for Captain America Mugs? The Captain America Marvel 12 oz. Ceramic Mug shows Captain America mid-battle on one side along with the Captain America comic book logo on the other side. Holds up to 12 ounces of liquid and measures 3 3/4-inches tall. Dishwasher and microwave safe. Ages 15 and up.